Because comfort is the new black. 1. A glittery silver dress made specifically for nights when you plan on shining bright like a diamond. Get it from H&M for $19.99 (available in sizes 2-14). 2. A T-shirt dress with ruffles on the sleeves, a roomy pleat in the back, and pockets to hold all of your snacks! Get it from Nordstrom for $39 (available in seven colors, sizes XS-L). 3. A striking-yet-casual geometric dress you can wear out whenever you want to show off your shape. Get it from Amazon for $3.99+ (available in three lengths and sizes S-XL). 4. 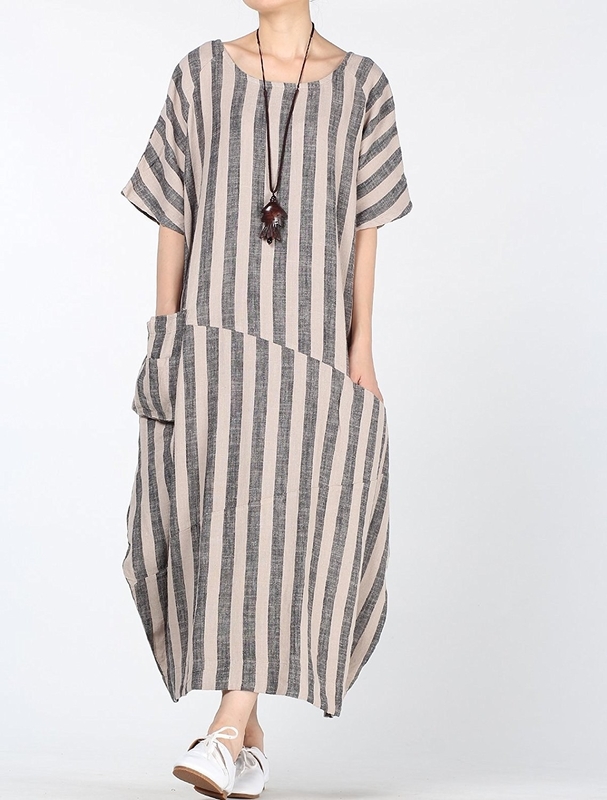 A dress literally inspired by Moses, that'll be so comfortable you'll feel like you're in the promised land. Get it from Mimu Maxi for $118 (available in two colors and sizes S-L). 5. A flowy songbird dress — it just may make you wake up singing. Get it from ModCloth for $64.99 (available in sizes S-XXL). 6. A wrap dress we already know will look excellent on you so, that's a wrap. Get it from Target for $29.99 (available in two colors and sizes XL-4XL). 7. 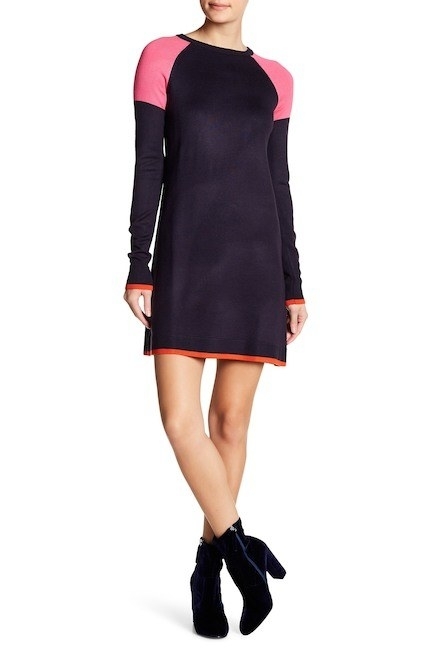 A turtleneck mini dress for the rare winter days when you actually shave your legs. Get it from Urban Outfitters for $39 (available in four colors and sizes XS-XL). 8. A loose tunic, because holiday dinners are no joke and you deserve to give yourself some room for dessert, all of the dessert. Get it from Zara for $22.90 (available in two colors and sizes S-L). 9. A fun shift that'll make you the bell of the ball or, at the very least, the bell of Friday night karaoke. Get it from ModCloth for $99.99 (available in sizes XS-XXL). 10. 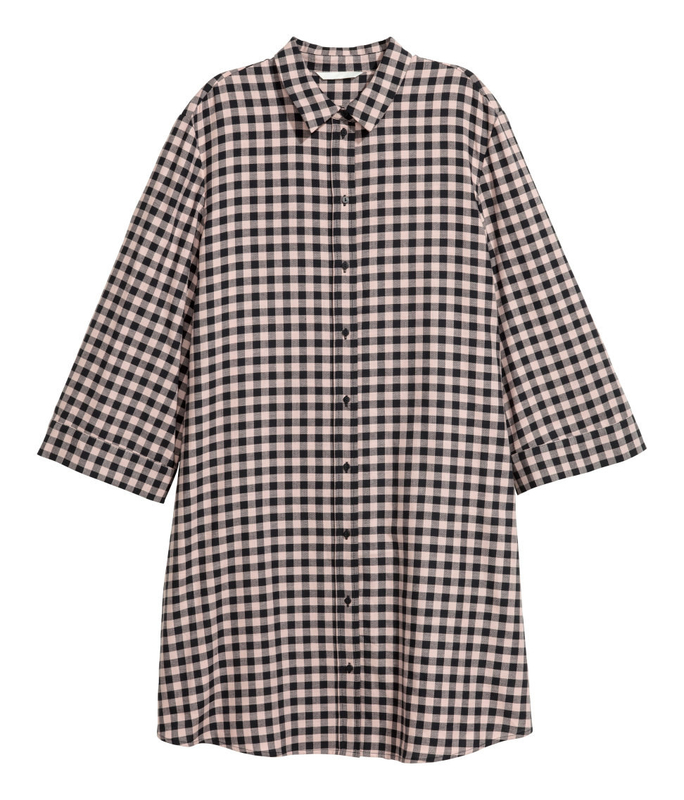 A plaid dress to wear while casually bringing up the well-dressed hottie woodsman you've been dating, whose shirts just happen to fit so well! Get it from Torrid for $38.98 (available in sizes 00-6). 11. A form-fitting sweater dress so comfortable you can dance in it, dine in it, and promptly fall asleep in it (and probs never take it off again). 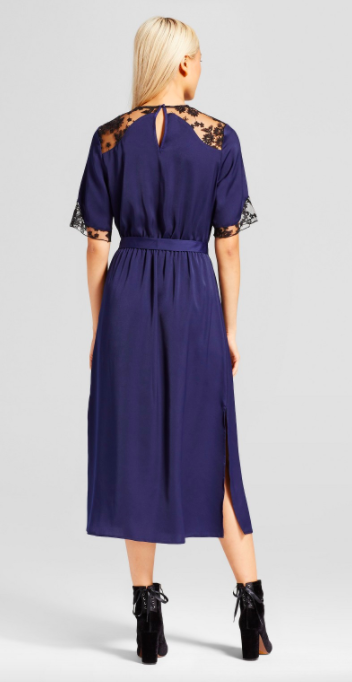 Get it from Anthropologie for $128 (available in sizes XXS-XL). 12. A lovely, loose maxi made for nights when you need a little black dress that costs a whole lot less. Get it from H&M for $24.99 (available in two colors and sizes XS-XL). 13. A flawless floral party dress that'll make every one of your hand-on-hip photos look totally unique. Get it from Target for $36.99 (available in two patterns and sizes XL-4XL). 14. A snug jersey dress to look like you're walking the red carpet when you're really running (late) to your 9 a.m. Physics exam. 15. A dress that, when in a list about dresses that don't look like potato sacks, might be the closest we get, but I'd be pretty chill with looking like a potato sack this chic, wouldn't you? Get it from Roolee for $46.99 (available in sizes S-L). 16. 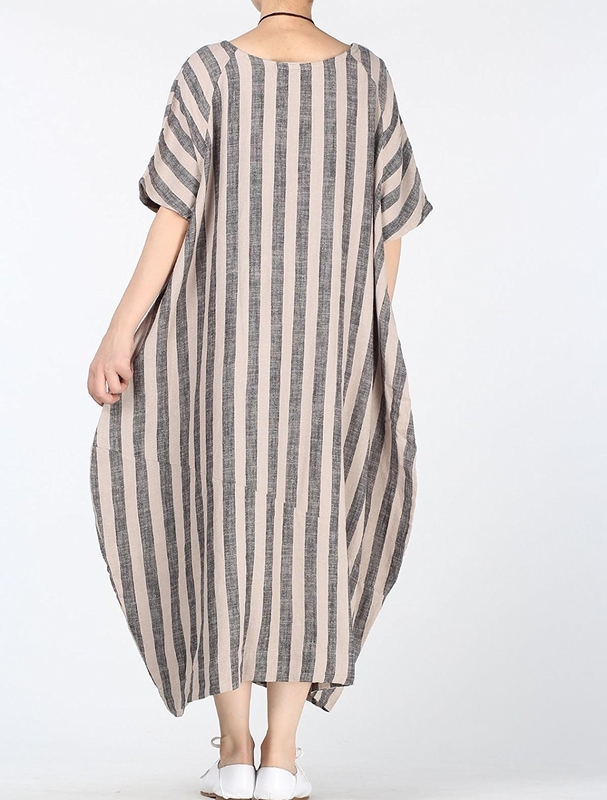 An insanely comfortable muumuu, because literally you won't have felt true freedom until you get/devour all-you-can-eat pizza in a vertical-striped dress with zero shape, bless. Get it from Amazon for $49.99+ (available in seven colors and sizes M-L). 17. A plus-size dress which, let's be real, is gonna give you the cold shoulder, but it'll also be your go-to anytime you need to look casually fantastic. Get it from Nordstrom for $26.98 (available in sizes 18-24). 18. 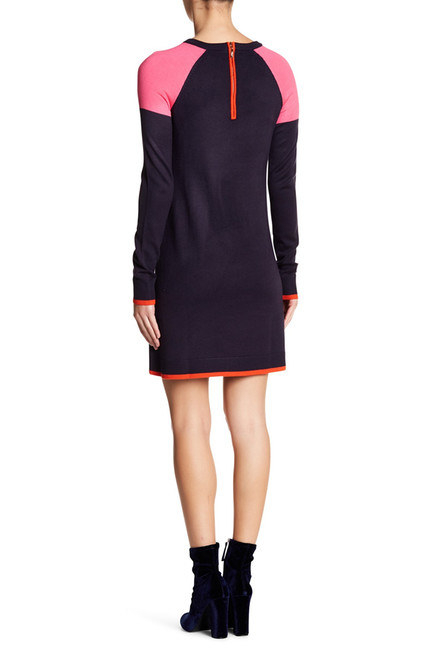 A colorblock shift for moments when you're feeling sporty and pretty and pretty sporty. Get it from Nordstrom Rack for $39.97 (available in M-XL). 19. An oversized T-shirt dress just may become your favorite basic. Get it from Boohoo for $12.50 (available in four colors and sizes 4-12). 20. A satin dress to wear when you feel like walking around in slightly risqué, almost-lingerie (as if that isn't all the time). Get it from Target for $36.99 (available in three colors and sizes XS-XXL). 21. A knitted dress which'll be necessary when you've got more than one trick up your sleeve, and arms that are cold enough they need some extra sleeve. Get it from Asos for $51 (available in sizes 6-14). 22. A stretchy sheath dress, because winter will be cold but you'll still look hot. Get it from Target for $29.99 (available in sizes XS-XXL). 23. A relaxed chiffon maxi dress Mother Earth would want to wear. Get it from Oasap for $37.99 (available in two colors and sizes S-XL). 24. 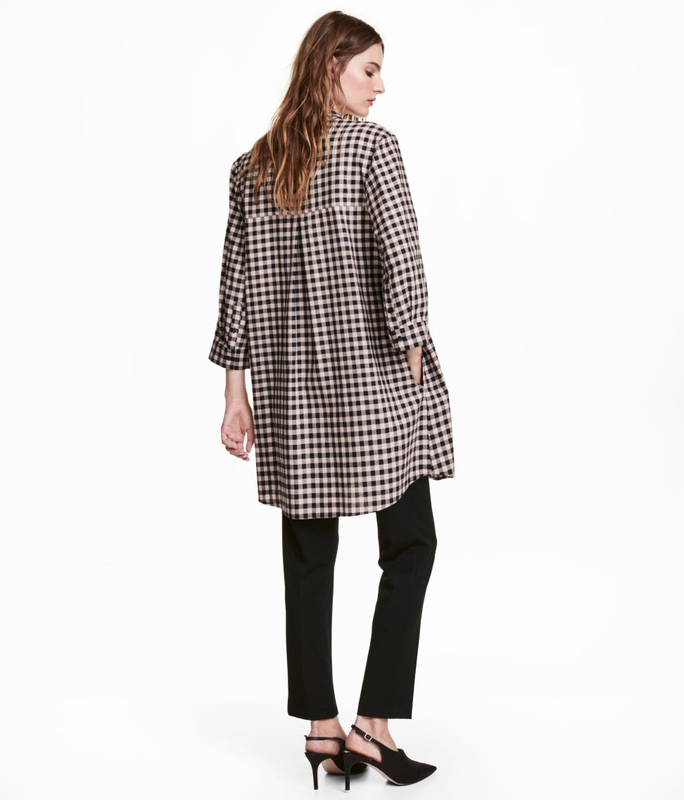 A casual checkered smock that can inspire the artist inside of you. Get it from H&M for $19.99 (available in three colors and sizes 2-14). 25. A flowy velvet dress perfect for wearing while casually standing under the mistletoe all night. Get it from Target for $29.99 (available in two colors and sizes XS-XXL). 26. A fitted black dress we'll be wearing all winter long, hbu? Get it from H&M for $9.99 (available in two colors and sizes 2-16). 27. A charming plaid dress to wear when you want to look like a Disney princess in disguise (looking at YOU, Ariel). Get it from Roolee for $49.99 (available in sizes S-L). 28. A convenient swing dress with ruffled sleeves — it just may add a pleasant pick-me-up to a dreary gray day. Get it from Nordstrom Rack for $39.97 (available in three colors and sizes S-XL). 29. A sweatshirt dress perfect for when you're on your period. Period. Get it from H&M for $17.99 (available in three colors and sizes XS-XL). 30. A sweater dress with daring sleeves and a gorgeous knit finish, because if you'll be cozy and cute this winter, you'll be wearing this dress. Get it from Urban Outfitters for $88 (available in XS-L). 31. An elegant green dress with a high collar and lush color, made specifically to define your wardrobe as, "gaudy gothic." Get it from H&M for $59.99 (available in two colors and sizes 2-14). 32. A basic block shift dress that can move, breathe, and make all of your minimalist powerhouse dreams come true. Get it from Boohoo for $12.50 (available in sizes 4-12). 33. A see-through mesh dress for when you wanna cover up and show off your limber lady-limbs at the same time. Get it from H&M for $49.99 (available in sizes 2-16). 34. A brilliant blue dress long enough it'll hide your unshaved winter legs and light enough it'll hide your unshaved summer legs, what could be more comfortable than that? Get it from Amazon for $24.99+ (available in 17 colors and sizes XL-3X). 35. A pleated velvet dress you have to feel to believe, and have to buy to enjoy. 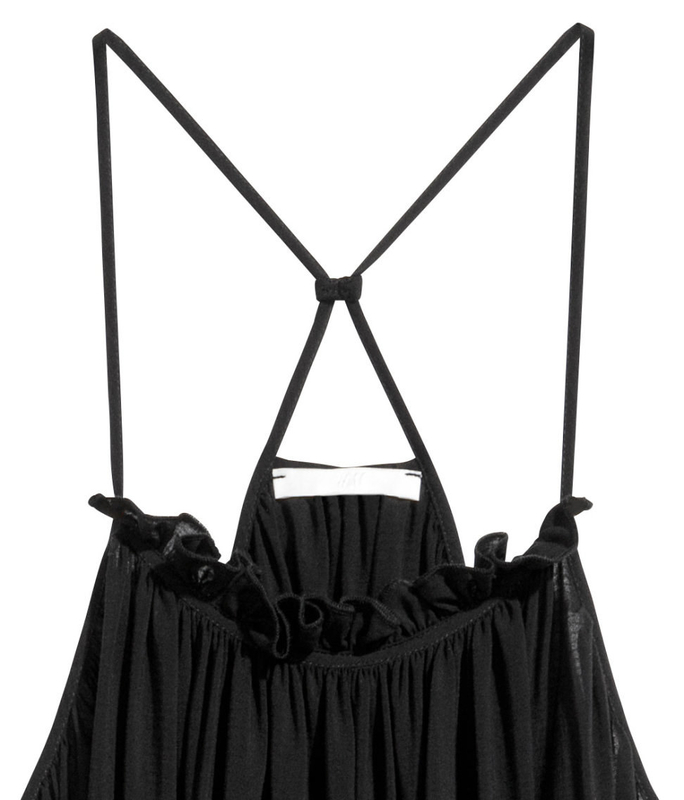 Get it from Nasty Gal for $36 (available in sizes 2-8). Get ready to feel pretty, oh so pretty.